Amazon Prime Video is an online streaming service from Amazon. This video-on-demand streaming service by Amazon is now India. You will be able to watch the favorite movies, videos; exclusive TV shows online. For the promotional purpose, they are running the 30-days free trial of Amazon PrimeVideo. You can activate the free trial easily and enjoy the streaming services for free for 30 days. So, hurry up. Finally, Amazon has brought Prime Video to India. It offers to watch latest movies, exclusive TV shows, Amazon Originals and more. Now, they are offering Amazon Prime Video FREE Trial for 30 days. So, hurry up to grab it. 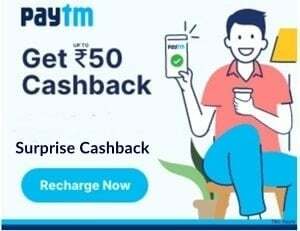 Process to get Prime Free Trial for 30 days: Click Activate offer > Select Start 30 Days Free Trial > after login you will find the option to pay Rs.2 and activate free trial. Make sure to cancel before 30th day. Enjoy latest movies, Tv shows for free with Prime Video. 1. Watch at any Place: You can use Prime Video on your Mobiles, Tablet, SmartTV or Game Console. It works on up to 3 devices at a time. 2. Watch Offline: Download titles on your Android and iOS devices and watch offline easily. 3. Low Data Usage: Watch your favorite movies or videos with Mobile Data or WiFi network with Low Data Usage. 4. Family Friendly: There are easy-to-use parental controls. So, parents can customize the viewing experience. Children will love the Chhota Bheem, Doraemon, Shinchan like popular shows. Click Here to visit Prime Video website. 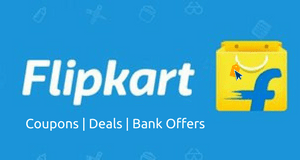 Click on “Start at Rs.999” button. Sign-in to your Amazon account. 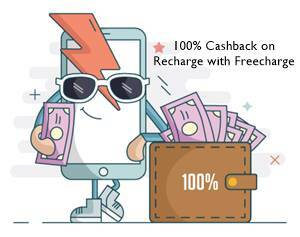 You will see the option to pay Rs.2 and activate the free trial. Your FREE trial of Amazon Prime Video will be activated successfully. Make sure to cancel before 30 days to avoid getting charged Rs.999. Amazon has brought the Prime Video app to both Android and iOS app stores. Download the Amazon Prime Video app here – Android (Play Store) / iOS (App Store). Just download the app and sign-in to your Amazon account. Start your free trial and enjoy its services. Finally, Amazon Prime Video is now in India. After the launch of Amazon Prime in India for FREE and FAST delivery, the Prime Video was in the US. So, it has got a lot of excitement for Prime Video among the Indian Consumers. But now we can enjoy its live streaming services. It provides streaming services similar to our Hotstar and the American Netflix. If you have subscribed to Amazon Prime, you can use Prime Video streaming without any more work. Just log in to your Amazon account and enjoy its services. After the trial, you can subscribe Prime one year membership for just Rs 499. So, at the moment, it costs Rs 42 per month for Prime Video. The price is much lower than Netflix which has Rs 650 per months. Hotstar also charges Rs 199 per months for membership. So, this Amazon streaming service is much affordable than others. Surprisingly, an Amazon Prime account is being able to play Prime Videos in other countries. So, you can use your active Prime account in other nations. You will find a different catalog of Prime Video according to the country. So, in the US where it cost around Rs 6700 ($99), you can use Indian account at just Rs 499. Its catalog consists of popular and fresh Hindi, Tamil, Telugu, Bengali, Marathi and English films. Apart from a broad range of movies, Amazon Prime Video is also providing the option to download videos and watch them offline. So, don’t wait, visit Prime Video website or download their app now. East or west amazon is the best for me. Enjoying Mirzapur and many web series. Thanks for sharing this free trial offer. I got in 1 minute. Wow finally someone doing great by charging just Rs.2 so that many genuine users can avail this offer. If it will be complete free people will start misuse. Great offer from Amazon India, thanks.